Principle. Please use the right word. Not only this change, but Gary Comer is spinning in his current habitat at everything else that has happened to his beloved business. 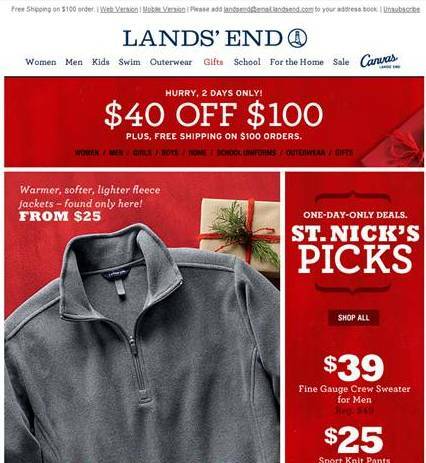 Land's End has trained me to only buy on promotion. Each day there is a new e-mail with a new deal on something. They have not figured out I live in Florida for the last 13 years, have not ordered any winter stuff, yet the continue to send me the winter catalog. Perhaps they should ask me if I want the catalog?